For those of you that don’t know me from before; coaching people in large groups and one on one, is what I did, in one methodology or another (including but not limited to: Silva, that of J. Rohn of Herbalife and my own) since 1991. In 1999 I began coaching people in Landmark Education inside of various leadership roles. In the years that I was leading the Landmark Forum I led with the best master coaches of the world (in my opinion and in the opinion of a little over a million people, around the world). The Landmark Forum itself, for those of you who are not graduates, is formatted as a weekend Seminar with approximately 150 people attending, all over the world, in more than 128 cities around the globe. My experience, training and unspeakable privilege of coaching people prior to and since leading the Landmark Forum has allowed for me to have access to the utmost training and practice for years. It also absolutely gives me the confidence to coach anyone in anything, under any circumstance and have his or her success from my coaching a forgone conclusion. Structuring and implementing profit and value driven mergers and acquisitions. Landmark Forum Leader – Landmark Education Corp. Registration Manager for Florida – Landmark Education Corp. In House Business Consultant – YouRConnection, Inc.
Kym is the co-owner of Carolina Aramburo Coaching. 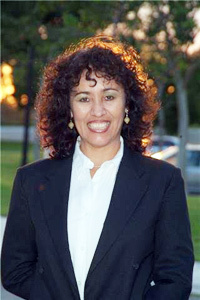 She is a Certified Professional Coach and a member of the International Coaching Association. 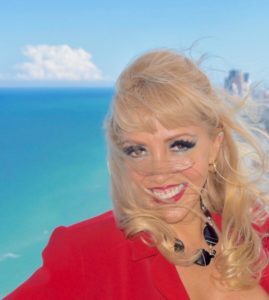 Following a 20 year executive and consulting career in the corporate world for Fortune 100 companies Kym became an Entrepreneur 20+ years ago. Kym knows the ins and outs of founding, starting and running successful profit and non-profit organizations both large and small. Before working with Carolina, 9 years ago, she had been a Business & Personal Coach for decades. She is trained in Michael Gerber’s (EMyth), Coach University’s and Fowler-Wainwright’s technology, plus an array of her own well crafted, proven technologies. In addition, Kym has produced extraordinary results in the lives of hundreds of people through one-on-one coaching, leading workshops, seminars and intensive Leadership programs. She has a track record of Relationship, Creativity and Life Coaching to compliment her years of Business coaching. Kym loves working with her clients to create a purpose/ vision for themselves and/or their businesses and she is ruthless in making sure her clients fulfill on that purpose/vision. Kym’s style is a mixture of love, compassion and radical laser coaching that leaves no option but success. Demonstrated the ability to lead seminars on a variety of topics, ranging from money to relationships. Trained, coached, consulted and delivered the Public image of 1000+ clients. Implemented efficiencies in systems that resulted in increased profits by $20M in 1st year and continued that trend for subsequent years. Consultant of Technical Divisions / Departments in Fortune 100 Companies. Provided system and organizational consulting, and structures for systems in companies that were expanding, merging, and right sizing. Planet Visions, Inc. – Hallandale Beach, Fl – Owner – On-line gallery & resource for artists. Dale is an extraordinary Coach for all the facets of being a Human Being. Dale has a knack for hearing exactly what is blocking any person’s full expression, and the directness to stand for nothing but excellence with his clients. spent most of his time in Asia and Central America negotiating multi-million dollar deals for various clients and himself. 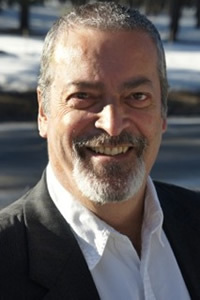 Dale is extensively trained as a program leader with Landmark Education. A true renaissance man Dale is conversant with Graphics Design, Marketing, Sales/Training, Web Design, Software Development, Business Development/Creation, Electronic Publishing, Corporate Culture and Video graphics. Since the loss of his partner in 2009 to Bone Cancer, Dale has taken on coaching people to be powerful about and around death. Dale is ridiculously passionate that every human being experience access to power and joy no matter what their circumstances. Otilia was born in Peru, and currently lives in Peru. She spent 8 years in the U.S., where she was trained in leadership, and coached people to achieve extraordinary results in their lives. She is committed to the evolution of her family, city, country and the world. Her passion in life is basketball, which she has played since she was ten years old. She had the honor to play for Peru’s national team, and has been a basketball coach for 20 years. She applies the same thing that she learned in all of her coaching: bringing the best out of each player, empowering them to play full out and live a radical life. Nothing excites Otilia more than to plant a seed with a person and watch them grow to produce remarkable results in their lives. 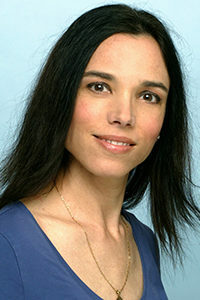 She believes that the sport is a tool for the realization of a human being.Otilia also has a certification as a Pranic Healer and is a student of Emotional Freedom Technique and the Hoponopono Healing technique. Her life purpose is to create a world where peace and love are present and everyone can realize their full potential, live their passions, and have anything they really want. She considers herself capable of creating magic, miracles and inspiring people wherever she goes. 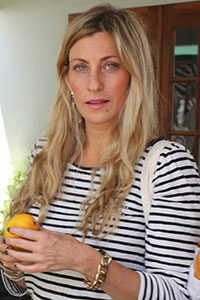 Satya (Nanda Beccaglia) is a Minister of Yoga Siromani (RYT200) and Vedic meditation teacher. She has been teaching for over 10 years and practicing since a very young age. Her passion and devotion to serve and make the teachings available to everyone has led her to quit the corporate world to follow the path of the heart and service. educator and health coach; and a certified plant based chef. She runs a holistic practice guiding and inspiring people to live a more conscious, awakened, meaningful, joyful, healthy, fulfilled, and balanced life. She leads both private and group yoga and meditation classes, as well as holistic retreats worldwide. Gina is a Certified holistic health coach on a mission to help clients achieve the state of harmony, health, high energy, vitality and balance they so desire. Radiant health is our most valuable asset, and once that is achieved, we can literally conquer anything! and wellness industry for over 10 years, managing yoga studios and organizing yoga teacher training programs and holistic yoga retreats worldwide. Always wanting to expand her knowledge in the nutrition realm, Gina completed the famous Hippocrates Health Institute Life Transformation program. She was so inspired by the amazing progress clients made on the Hippocrates program, that she joined the Hippocrates team and worked at the Institute for 2 years. Gina is continuing to learn daily about nutrition and Mind Body Spirit connection. It is her Soul’s calling to to share this knowledge and passion with clients. Gina teaches her clients to develop a meaningful relationship with food, and to heal through food. 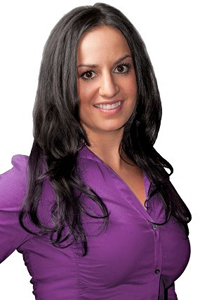 Gina guides, supports and empowers her clients every step of the way to take control of their own health, and she is committed to providing measurable and sustainable results. It brings Gina the greatest pleasure to see client’s health and well-being change dramatically over the course of their work together. She continuously gets inspired by her client’s amazing progress through commitment and dedication to themselves and their health. Zeina Smidi is committed to people living healthy and happy lives. Whether through holistic health coaching, teaching yoga or healing foods retreats or workshops, she is out to make a lasting difference in people’s lives and their relationship to themselves. cervical cancer. 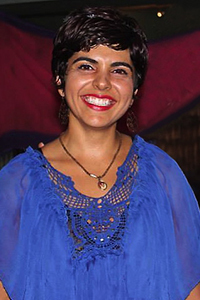 As a yoga teacher, Zeina is known for her gentle approach to teaching and practicing. Gratitude, forgiveness and self- love are important matters that she incorporates in her classes, and in her own practice on and off the yoga mat. Her classes are inspiring, energizing and accessible to all levels. As a retreat facilitator, she creates the space for others to truly be themselves and live an authentic life. Her talks are engaging, inspiring and educational. Zeina currently leads Women’s Healing Circles, sacred ceremonies she was guided to create for her own healing, the healing of all women and the healing of the planet. Brittany has a deep passion for inspiring and guiding others to live a life they love, in a body they love, through holistic health, nutrition, fitness, and food psychology coaching. She has been doing so professionally since 2007.
years. The turning point came in 2005 when health complications ignited a journey to optimal health and wellness; not only physically, but mentally, emotionally, and spiritually as well. She began coaching to share the transformative process and help others do the same. 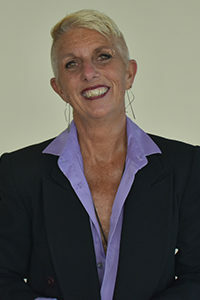 Having graduated from the University of South Florida with a Bachelor’s Degree in Communication and a Psychology minor, as well as obtaining rigorous extracurricular education in many matters of the human mind, coaching, and personal development, Brittany is able to work-through her client’s adversities and guide them to lasting change. Brittany continued her educational journey at the National Academy of Sports Medicine to become a Certified Personal Trainer, as well as the Institute of Integrative Nutrition (IIN), the world’s largest nutrition school, where she obtained her Certification as a Holistic Health and Nutrition Coach through the American Association of Drugless Practitioners. At the Institute of Integrative Nutrition, she learned hundreds of dietary theories, and how to adapt those to each individual based on their wants, needs, schedule, heritage, metabolic type, preferences, allergies, goals, and beyond. Guiding others to discovering how and what to eat for their specific body is imperative, but the turning point came in her and her client’s results when she obtained a deeper understanding of food psychology, human behavior, and how lifestyle effects nutrition and vice versa. She leads by example and holds herself and her practice to the highest standards of customer oriented service and excellence. She prides herself on taking a multifaceted, step-by-step approach with her clients to not only help them look their best, but feel their best in all areas of their life. Her clients have worked through binge eating, emotional eating, body image issues, weight loss struggles, chronic dieting, food intolerances, allergies, digestive issues, obesity, fibromyalgia, auto-immune disorders, thyroid and adrenal imbalances, migraines, hormonal imbalances, inflammatory conditions, and many other health concerns. Not only are her client’s symptoms lessened through her strategic use of coaching in nutrition, physical activity, lifestyle, and quantum healing but the condition that is causing the unpleasant symptoms is oftentimes uncovered and healed during the coaching process. Brittany draws from her education, her personal journey through disordered eating to health and happiness, and years of experience to inspire others to make healthy choices because they want to, not because they feel like they have to. You won’t see restrictive and depriving diets, or punishing miserable workout routines when working with Brittany, but rather systematic changes that are easily integrated into your day, and bring you so much energy and radically efficient results and healing, that you’ll be inspired to take care of yourself and your body for life! Have a Discovery Call with one of our Coaches Today!